Now could be a good time to pack up shop and get the best possible price for your dry-cleaning business. As South Africa endures its worst drought in over a century, many affected industries are suffering and struggling to stay afloat. With laundry businesses heavily reliant on water, it could be a good time to pack up shop in order to get the best possible price for your dry cleaning business. 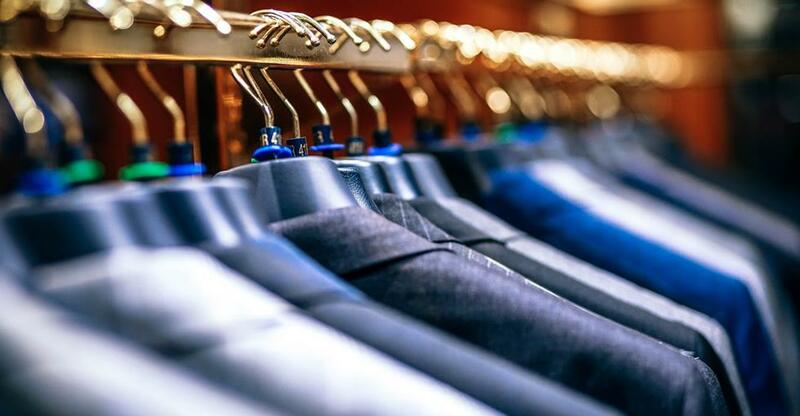 The dry cleaning industry is part of South Africa’s service sector and has contributed just less than 6% to the country’s GDP, according to Statistics South Africa. There are roughly 2,000 commercial dry cleaning business and 130 state laundries, which operate in places such as prisons, parks and hospitals. The laundry industry provides employment for more than 50,000 people, and many operations are either managed by single business owners or as a family-run venture. The largest company in South Africa’s dry cleaning sector, Bidvest Laundry Services, employs more than 3,000 people. Recently dry cleaners have been struggling to cope with the sharp price increase for both electricity and water; two key utilities needed to run a laundry business. As the household disposable income drops and the current economic climate shows uncertainties, many operators in the laundry sector have seen a decrease in business. Overall performance in the dry cleaning industry has been described as ‘flat’ and many operators are focusing on how to reduce costs in order to stay afloat. Laundry businesses located in high density residential areas prove to have more potential for success. When it comes to selling your business, emotions can run high; this is an enterprise you have built up from nothing and spent a lot of time and money to make it a success. It is typical for emotional attachments to get in the way when determining an unbiased valuation. It is best to seek advice from a valuation expert or broker who has sufficient experience either in the dry cleaning industry, businesses in the local area or knowledge in the service sector. The valuation professional will be able to give you a fair and accurate sale price based on your balance sheets and the business’s physical location. If the business itself is not performing well but there are good terms and conditions on the lease and it is in a prime location, then you are still in a good position to sell the property to a buyer who may have plans to turn the business into something different. In order to gain a better understanding of how much your business is worth, you should examine your company’s most recent balance sheet. The net worth figure, which represents your assets minus liabilities, is a good indicator to determine whether you’ve built up value in your business. Firstly, vendors should get their paperwork in order and make sure the financials are audited before presenting them to any prospective buyers. Ensure your financial documents are all up-to-date and accurate. It is good general practice to have the last three years of financial statements and tax returns available for any interested parties to look through. You should also take care of any outstanding issues with the South African Revenue Services (SARS) or any lenders; failure to do so could diminish the trust of the buyer. Finding a business broker who can manage the sale of your business is key; your accountant or lawyer should be able to recommend a reputable broker. A business broker directory can also help you find a broker who has experience selling businesses in your local area, or within the laundry/service sector. The broker will not only take care of the business valuation and financial statements, but they will also advertise the sale, negotiate various details with both the buyer and seller and close the deal. You should also spend time repairing any machinery, equipment or physical features such shop signs or furniture. You want your business to be looking its best when prospective buyers come to view the property. Marketing the sale of your business is another procedure that your broker can help you with. As the owner, it is best to keep the sale of your business discreet to prevent negative attitudes from your employees, customers and suppliers. Depending on how much experience your business broker has, and how long their client list is, will determine what extent of marketing is needed to sell your business. Some brokers will have a network of potential buyers who they can contact privately without having to market the business online. Brokers may also reach out to other competitors in the area that operate in the laundry sector to determine whether they would be interested in buying out the competition. Growth by acquisition is considered one of the quickest growth strategies for SME’s in South Africa.